Frank Servedio serves as President of Impact101. Looman doesn’t appear to have an executive position but is credited as a co-founder. Prior to Impact101 Servedio and Looman were running Worldwide Shoppers Club. 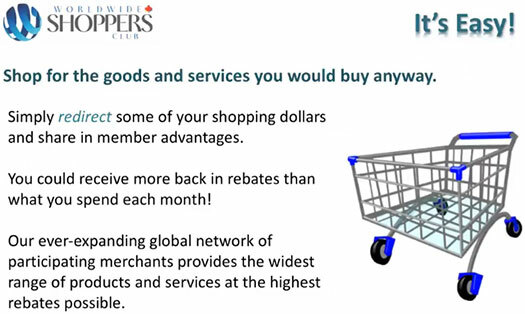 Worldwide Shoppers Club was an MLM e-commerce platform. The company appears to have been abandoned sometime last year, ahead of Impact101’s launch in mid January 2019. Read on for a full review of the Impact101 MLM opportunity. Impact101 has no retailable products or services, with affiliates only able to market Impact101 affiliate membership itself. Impact101 affiliates purchase positions in a eight-tier 2×2 matrix cycler. These two positions form the first level of the matrix. The second level of the matrix is generated by splitting each of these first two positions into another two positions each. Commissions are paid when all six positions in a matrix are filled. Positions are filled when newly recruited and existing Impact101 affiliates purchase subsequent positions. In total Impact101 offers six matrix cycler tiers, costing between $40 to $4800. 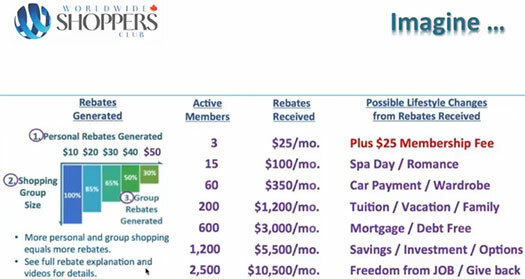 Impact101 affiliate membership is tied to an initial $40 to $4800 matrix position purchase. Full participation across all of Impact101’s eight cycler tiers costs $9570. Under the cliched guise of “crowdfunding” and “accepting and giving donations”, Impact101 operates as an eight-tier cycler Ponzi scheme. What separates Impact101 from legitimate crowdfunding is the fact that payments are made for the sole reason to qualify to receive payments from other participants. Legitimate donations are made without expectation (or indeed the possibility) of receiving payment from other donors. Across its eight cycler tiers, Impact101 simply shuffles newly invested funds (position purchases) to pay existing investors. Half of what’s invested at each tier is paid to affiliates, with the rest split between generating a new position and Impact101’s admins. E.g. at the $600 tier, a complete 2×2 matrix generates $3600. 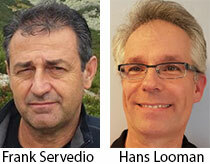 $1800 is paid out and another $600 is used to generate a new position, leaving $1200 for Frank Servedio, and Hans Looman. This, on top of any preloaded admin positions Servedio and Looman have, guarantees they’ll receive the majority of funds invested in Impact101 cycler positions. The whole thing is a bit tragic really, considering QRLG Marketing has been around since 2011. 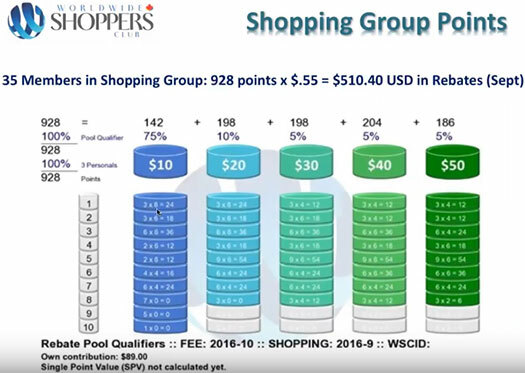 Worldwide Shoppers Club never really took off. The initial offering combined third-party affiliate networks with four merchants. There was also a $25 fee that in addition to rebate “overage”, was paid out based on recruitment. In 2014 Worldwide Shoppers Club embraced cryptocurrency. Initially the company used bitcoin, litecoin and auroracoin. On or around 2016 the focus changed to mercatorcoin, some waste of time altcoin that doesn’t exist anymore. Considering Worldwide Shoppers Club was paying exclusively in mercatorcoin, this probably contributed to the company’s collapse. No doubt Servedio and Looman made a packet accepting bitcoin for mercatorcoin. But spare a thought for Worldwide Shoppers Club affiliates, who were ultimately left bagholding a worthless shitcoin. QRLG Marketing meanwhile appears to have been repurposed to provide Impact101 affiliates with landing pages. Note that this doesn’t make Impact101’s fraudulent business model legal. As with all MLM Ponzi schemes, once affiliate recruitment dies down so too will new position purchases. This will stall Impact101’s cyclers. And when enough matrices within the eight cycler tiers have stalled, prompt a collapse. Sounds like the Ponzi Scheme Noble 8 Revolution! 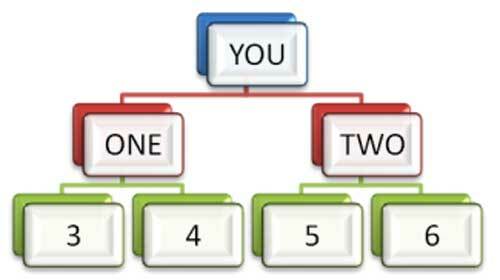 Taking the above as an example – If I recruited Ben, Ben would then pay me $300, if Ben then recruited Sally, Sally would pay Ben $300 and me $300, The only money Frank and Hans receive is when you sign up you either pay $25 for 6 months or $40 for the year. Taking the above as an example again, $1800 would come to me and $1800 would go to people in the matrix. None of the $3600 goes to Frank or Hans, you also don’t have to spend $600 to go into the next matrix, however makes sense as the people below would follow you once qualified. I calculated based on what an affiliate gets paid and additional positions. Didn’t factor in what the admins steal on top of that because it’s not a commission. In a Ponzi cycler the raw ROI is what matters, not where individual investments across individual positions wind up. Again this is wrong, as soon as someone joins you get paid, you don’t have to pay for the matrix again if you don’t want to, but like I said earlier it makes sense to join again. Admin positions. First in, first out. Total returns are dependent on all matrix positions filled. And using money you’ve stolen to reinvest is still paying for a position. This your first Ponzi cycler? Hah, you don’t know how many positions did the admin gave themselves for free. They control it, after all. this is definitely a Ponzi scheme. it is not popular it is next to impossible to Market this program nobody believes it and there should be no one even considering joining. has not understood how these people steal your money. do not bother with this it is a losing game and a waste of time in some cases very illegal.